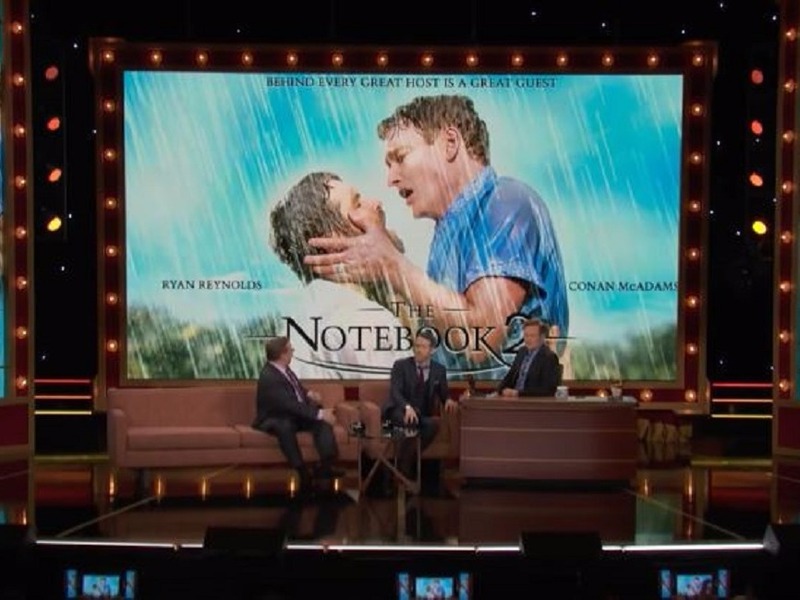 Ryan Reynolds And Conan Star In "The Notebook 2". Well, Sort Of! The Notebook came out exactly 12 years back and made huge stars out of Rachel McAdams and Ryan Gosling. And now, Deadpool star Ryan Reynolds and super-popular TV host Conan have come together to create the next installment in the series, titled what else but The Notebook 2. Don't be alarmed. The video below was just a spoof that the gentlemen mentioned above prepared, kisses and all, to thrill the audiences at Conan's show. Go ahead and watch funnyman Reynolds introduce you to a couple of products that he intends to launch in the near future with his branding before unveiling the moving clip from the sure-to-be blockbuster. Must say, we're impressed with the snogging!